Pork loin is a versatile cut of meat that you can cook in a number of ways. 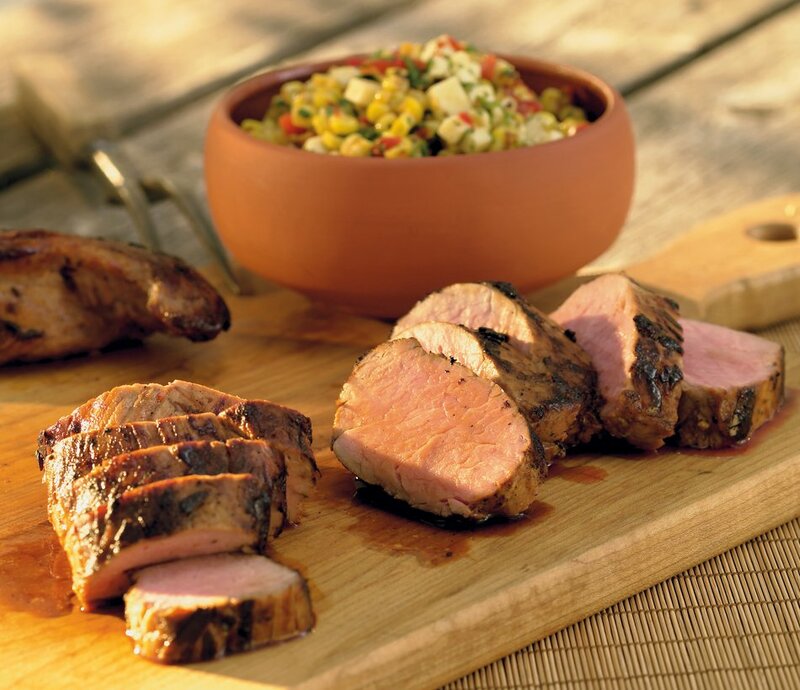 Pork loin is also simple to prepare, making it a viable choice when entertaining. Heat a large skillet (I used cast iron) over medium high heat and add 2 tablespoons of olive oil to the heated skillet. Place the tenderloin in the skillet and brown on each side, approximately 2-3 minutes per side. Place the whole pan in the oven to finish cooking the tenderloin, about 12-15 more minutes, or until an instant-read thermometer registers at 160. Remove the tenderloin and rest for 5-10 minutes under a foil tent, before slicing.